Crystal Bentley, 23, entered the Texas foster care system when she was 2 and wouldn’t leave it until she aged out at 18. In the intervening years, as she was shuffled from place to place, she was repeatedly beaten and sexually abused — sometimes by the adults entrusted with her care, sometimes by their biological children, sometimes by other foster kids or her own relatives, Bentley testified in federal court Wednesday. 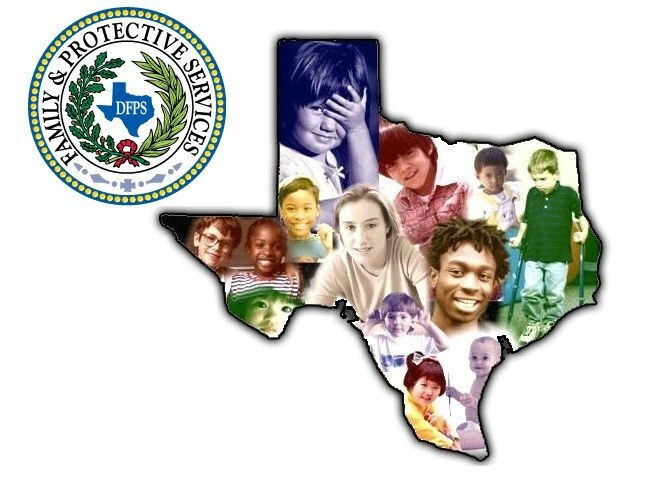 A rotating cast of Child Protective Services caseworkers who were supposed to watch out for her safety often didn’t show up for monthly visits, she said. When they did visit, it was usually for a cursory handful of minutes during which they failed to detect what was happening to her. “I would hint that something was going on, but when they asked me if I was being sexually abused, it was always right there in front of my abusers,” Bentley testified. “What could I say?” Bentley’s testimony Wednesday came on the third day of a trial in a class-action lawsuit brought by Children’s Rights, a New York-based advocacy group on behalf of 12,000 children in long-term state care in Texas. 1cpsdestroyertrish-Holmeide said: > Throughout history whenever there were issues parents were not capable of handling otherwise healthy families took up the slack. Most people lived near other family members, families were larger and had more members to help share whatever burdens on of it's members may encounter. Often rowdy boys would be sent to live with a very big uncle and his family, flighty teenage girls put to work providing day care for other family members so they could work etc. Families took the place of official control freaks from the state, and families determined both the severity of the problems and the outcome of their own interventions. Today, state employees trained in the martial arts of social work have a preconceived notion that the average person is deficit in intelligence, morals, problem-solving and parenting across the board. They view their text-book ideas as far and above superior to anyone's and with the power of the state behind them inflict their views and demands on families instead of trying to help them they actually do more harm and think the devastation as just the price ignorant, woefully deficient members of society have to pay. In my field of business (mental health) when I specialized in crisis outreach the first thing I did was make a list of all a person's resources and make contact, if possible, with them to ask them for their support for their family meber, friend, or parishioner. Never once did I hear the word, "NO." And, in fact I often saw grown men crying holding one another tight as they were reunited after years of separation and neither knowing the other even yet cared. It is the person't family and natural supports that can and does offer the best solution to a family's problems not the state, nor the narcissistic social workers. We can see the damage done when the state takes over parenting of children and works to divide rather than reunify families. Just look at the number of young folks receiving mental health treatment or in our jails--check their demographics and see how many arrived there after years of parenting by the state! I feel very deeply for all of the families being torn apart like a New Age Slavery System where minorities are put in charge of delivering up their own to the system of slowfully killing the young and innocent. May God Bless the children and families for he knows of our pain. How can I find help for the abuse I went through? I'm 30 years old now but struggle a lot everyday. So much I feel like it's all my fault. The nightmares are constantly here. I absolutely LOVE your comment Trish! I've been seeing this all my life; maybe it doesn't always work out, but we in the family will hear and see about it and then we can help to fix it. Thank you! Throughout history whenever there were issues parents were not capable of handling otherwise healthy families took up the slack. Most people lived near other family members, families were larger and had more members to help share whatever burdens on of it's members may encounter. Often rowdy boys would be sent to live with a very big uncle and his family, flighty teenage girls put to work providing day care for other family members so they could work etc. Families took the place of official control freaks from the state, and families determined both the severity of the problems and the outcome of their own interventions. Today, state employees trained in the martial arts of social work have a preconceived notion that the average person is deficit in intelligence, morals, problem-solving and parenting across the board. They view their text-book ideas as far and above superior to anyone's and with the power of the state behind them inflict their views and demands on families instead of trying to help them they actually do more harm and think the devastation as just the price ignorant, woefully deficient members of society have to pay. In my field of business (mental health) when I specialized in crisis outreach the first thing I did was make a list of all a person's resources and make contact, if possible, with them to ask them for their support for their family meber, friend, or parishioner. Never once did I hear the word, "NO." And, in fact I often saw grown men crying holding one another tight as they were reunited after years of separation and neither knowing the other even yet cared. It is the person't family and natural supports that can and does offer the best solution to a family's problems not the state, nor the narcissistic social workers. We can see the damage done when the state takes over parenting of children and works to divide rather than reunify families. Just look at the number of young folks receiving mental health treatment or in our jails--check their demographics and see how many arrived there after years of parenting by the state! This story illustrates how severely dysfunctional is our society--in not just Texas, but across America! But there is something else going on that is hard to see; what is being done is to worsen the state of mind of its citizens! After all, abused children become MORE part of the system, than those raised with tender, loving care. Also, think about recent studies, (such as this one from Sept., 2014 from Science, Psychiatry and Community; [ http://www.madinamerica.com/2014/09/suicides-rise-increasing-psychiatric-involvement ]) in which GREATER PSYCHIATRIC INTERVENTION is associated with much WORSE outcomes in those so treated! This was also proven in Robert Whitiker's outstanding (and shocking), book, "The Anatomy of an Epidemic" in which he outlines that psychiatric illnesses are not on a rapid rises in spite of psychiatric interventions, but BECAUSE of them! I was a foster child myself, for 16 years, and I can say that I was abused often in many ways AND the system didn't care. In fact, they often interviewed me in front of my foster parents asking questions like, "How do you like it here?" and those sorts of things. (I could always tell that the social worker was visiting as i returned from school, by the saccharine-sweet voice of my foster mother, Mary: "Tom, How was school? The Social Worker is here to see you." And I knew, there was a visitor as such kindness was never there on other days!) And for fourteen of those years, I was too fearful to tell my "real" mother/father" (never mind the brain-dead social workers), how I was treated. The "real" father would usually be too drunk to care anyway, but that's a different story. Thankfully, all the foster parents are now dead and one abuser did pay me a small token for his sexual abuse..26 years later! Thankfully in this instance, he also died shortly thereafter from lung disease! I am fine...although it screwed up relationships with women all along,...no prom appearance/date, no girlfriends in college (until senior year), etc. Still, being a runner since 13 kept me reasonably sane, but I wish all abusers--physical, mental, emotional abusers be punished, but this is a pipe-dream. Just the same, it's ALL reprehensible and unacceptable and I wish children did NOT have to go through what so many--in New York, Texas, and all over this country, have gone through and continue to go through. DAMN, if my "real" father just didn't drink I could be a classical pianist now (like my "real" mother) and if my foster parents had a heart, they would have let me practice my musical interests... Now, I'm being arrogant: Why can't they BAN from being foster parents, provincial, stupid, ignorant people who can't tell a door bell from Mozart or Beethoven?) Oh, and I forgot, whey would they allow a gay man to be a foster parent? In conclusion, here's a question: Why do we, as a society NEED social workers and "foster care"! I already noted that my dad being an alcoholic precluded my mom from being able to take care of her children...that's the basic fact of why I was put in foster care. Mom couldn't care for her two children at the time, me (2), and my older brother (5). By the way, he was the brightest math student in the U.S.A. in 1974, but our foster parents didn't like us studying so much (and making their own "real" children look so dumb! ), and her mistreatment of us precluded us (both intelligent), from being all we could be, but this is a problem in all homes--foster homes or not. We can NOT just blame the foster care system--as screwed up as it is, we must think WHY are the children there in the first place? Is mom or dad in jail/prison, perhaps for non-violent crimes? Are they alcoholics or drug addicts? Is there a low-income situation that makes frequent evictions/moves necessary? MANY reasons exist that shed light on the fact that our SYSTEM is screwed up! The very fact that we HAVE a "foster care system" speaks volumes as to how messed up is our country. Damn, we "need" "foster care" We "need" social workers--those underpaid workers who have to "fix" (w/a proverbial band-aids), a situation which they didn't cause and in which so many are under-equipped to help. It's messed up all around, but as is so typical of our society, very few people want to look at WHY such and such is happening. Am I angry? Of course I am! Our society has so much contempt for helping children--in foster care or not--be all they can be. And then, when abuse occurs, they want to victimize the children, so that when they DO act out, when they DO under perform, when they commit some minor --or major-- crime, it's like we can say, "they were bad kids all along," somehow justifying the abuse or neglect. I hope these 12,000 children in Texas win their lawsuit!